Eduroam with OpenWRT | Enide! The information in this page is outdated but is left as a guide for anyone trying to setup its own internet gateway using his/hers university network. 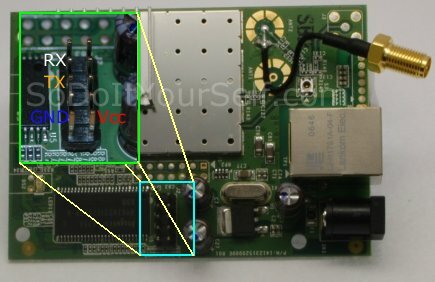 How to configure your OpenWRT router to create a stand-alone solution to access your university's eduroam secured network and have a permanent connection to the internet. For my first attempt I used a LaF*nera router from FON but you can use any other router capable of running Linux OpenWRT . LaF*nera is a very small router with one ethernet and one wireless NIC. It comes preloaded with a special version of OpenWRT compiled by FON to create their Social Network which makes it perfect to experimentsince we know it runs OpenWRT. You'll get two files: one with the root filesystem and the other with the kernel. Disassemble the router by removing the two front rubber feet and screws with a small philips screwdriver and locate the serial port connector next to the ram chip. Now apply power to the router and the bootloader should appear after a few seconds! Press CTRL+C to stop the boot procedure. 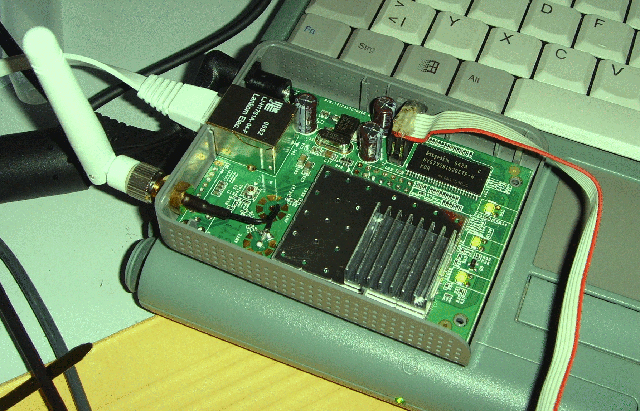 More information on flashing a OpenWRT can be found at Fonera mit OLSR - Freifunk Hannover page. Boot your new openwrt linux instalation and wait until you see the system prompt. zlib - dependency for one of the previous two. Now lets move on to the configuration. You'll need to disable the firewall but don't worry since your private network will be running behind NAT. It will provide some level of security. The lan interface will be the one connected to the private network and the wan the one connected to eduroam. This example shows the private (lan) interface using ip addresses in the 192.168.88.0/24 range. Change it if you want but be careful not to select the same network range used in the eduroam network. If you look more careful you'll see that the lan interface is bridged with the eth0 which means that the ethernet cable of your F*n also gives you access to your private network. 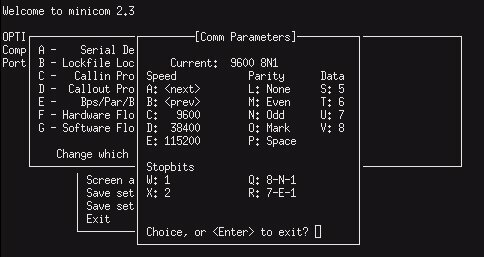 You should use this interface if any problems arise while configuring the router. Lets check the first wifi-iface: it's for the private lan interface with ssid=HomeNetName, wpa-psk encryption, password homenetpasswd2008 and mode ap (access point to provide a network). 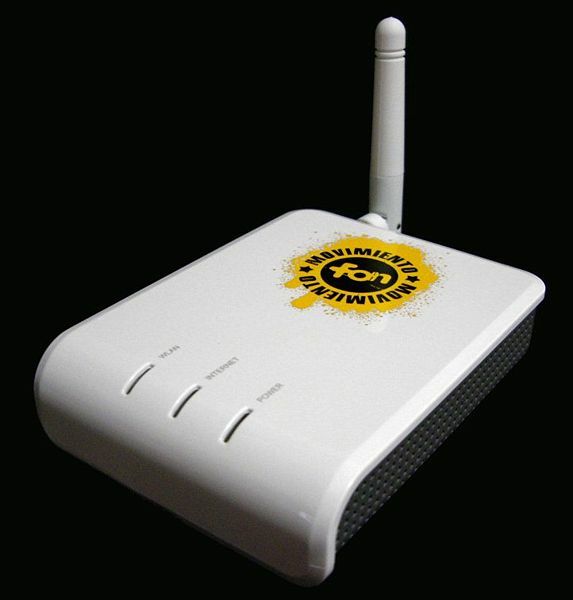 The second wifi-iface: it's the wan interface that connects to eduroam with ssid=eduroam (obviously), no encryption because it will be provided externally because of 802.1x authentication and mode sta (station means it simulate a network interface like a regular computer to connect to the desired network). It will configure NAT on the outgoing traffic to ath1 (the wan eduroam interface) and start wpa_supplicant when the router starts. Among other things you should check if the ssid is eduroam, key-mgmt is WPA-EAP, pairwise is TKIP and eap is PEAP. Your identity is your login name and your password... well you should know what it is! Also check if phase2 is MSCHAPv2. Detailed information on how to manually connect to eduroam network can be found at glua wiki. To help you in this task I'm providing a zip file with all the files I changed and a small description of what needs to be configured in openwrt below. Don't forget to reboot and change your root password from admin to something else! www.fonera.info - Information on hacking a F*nera.